Caribbean Community (CARICOM) citizens will focus attention on the role of renewables and the importance of efficient energy use when they observe CARICOM Energy Month (CEM) next month. CEM is a collaborative initiative to address the key energy issues and promoting cooperation based on the needs and common interest within the Community. It is a celebration of the significant strides that have been made within the Region in its transition to a sustainable energy pathway towards achieving long-term behavioural changes. This year marks the second time that the CEM will be observed. The Month will be launched at the Quisqueya University, Port au Prince, Haiti, on 30 October, under the theme ‘Re-thinking Energy – Shaping a Resilient Community’. The launch will take the form of a mini symposium and exhibition. This year’s CEM will address, in a deliberate way, some of the critical energy issues that continue to limit sustainable energy use and the concomitant economic development of the Region through a number of specific education and outreach activities at the regional and national level. 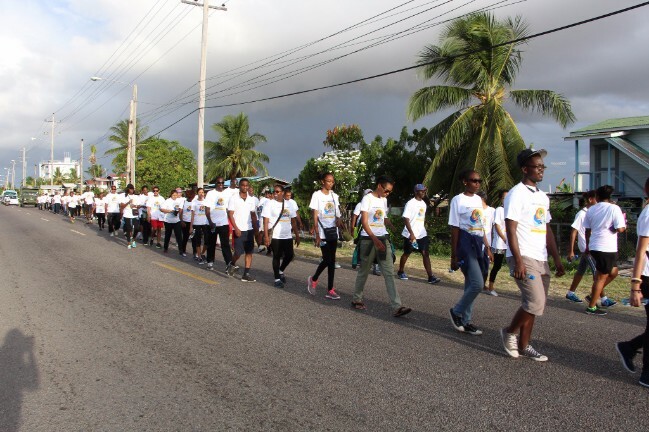 The CARICOM Secretariat’s Energy Programme will host a series of regional competitions and activities which will include an Energy Personality Award, Young Artist Competition, Youth Essay Competition and the regional energy ‘Kilo-walk’ to complement national activities and events of Member States. Member States through their energy agencies and other entities, and the CARICOM Secretariat, will promote awareness and build an understanding on five focus areas which have linkages to sustainable energy use. The areas are Economic and Social Advancement; Climate Change; Energy Poverty and Access; Gender Mainstreaming; and Disaster Risk Management. Citizens are encouraged to join the conversations on our sustainable energy transition on social media at: Facebook (CARICOM.Energy), Twitter (@CARICOMEnergy), Instagram (CARICOM Energy). By caribbeanclimate in News on October 24, 2017 .